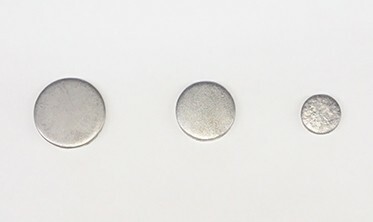 Tungsten has a high melting point and generates X-rays when irradiated with a high-speed electron beam. Because of these properties, it is used for anodes in various X-ray tubes. Toshiba Materials makes use of these properties to produce anodes for X-ray tubes used in dentistry and analysis. Tungsten is used for TIG welding electrodes (welding rods) because of its high melting point. 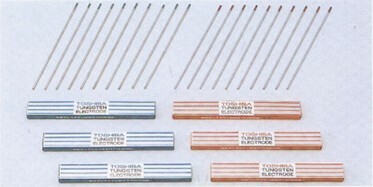 Toshiba Materials produces a range of general-purpose TIG welding electrodes including DC straight polarity electrodes, balanced AC electrodes and DC inverse electrodes.